If you want to get more media coverage for your company or organisation it’s essential you’re seen and heard in the media on a regular basis. Yet you need to be fully prepared to get the most of out of the media interview. Media training is critical and can make the difference between creating a strong positive public impression or a truly negative one. It’s essential in helping you develop the skills to get your message across succinctly and with impact. Our highly tailored media training will assist team members to understand the different forms of media, how to engage journalists and how to control even the most difficult interview. Theory combined with practice interviews provide trainees with the experience of understanding and dealing with the media in a range of situations. Includes phone interview practice with a professional journalist and detailed on the spot feedback from the trainer and journalist. The Media Training can be delivered as interactive half or full day workshops for corporate teams, tailored to your organisation. We also offer mentoring to manage specific media interview situations. 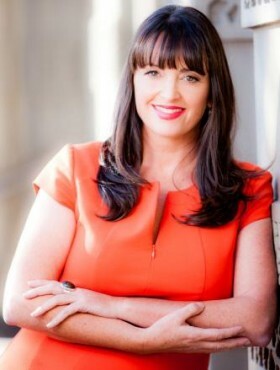 Catriona Pollard is one of Australia’s most dynamic speakers and trainers. She has shared her dynamic and practical expertise with thousands of people both in Australia and around the world for organisations such as TEDx, DELL, CeBIT, Women on Boards, CEO Institute, Commonwealth Bank and Macquarie University, just to name a few. She is a highly regarded expert and media commentator in PR and social media and her views on personal branding, social media and PR are internationally published across print, online and broadcast media. She has first hand experience in dealing with the media – she is interviewed every week. She doesn’t just understand the theory – she knows what it’s like to have to get messages across clearly as well as managing a difficult interview. Renowned for being an inspiring speaker and trainer, Catriona shares her personal insights and experience to help others, whether it’s with practical advice or shared wisdom. With every training session, Catriona aims to ensure her audience takes away useful insights, inspiration and tips that will help them succeed in every media interview. Get in touch to find out more about booking media training with us.